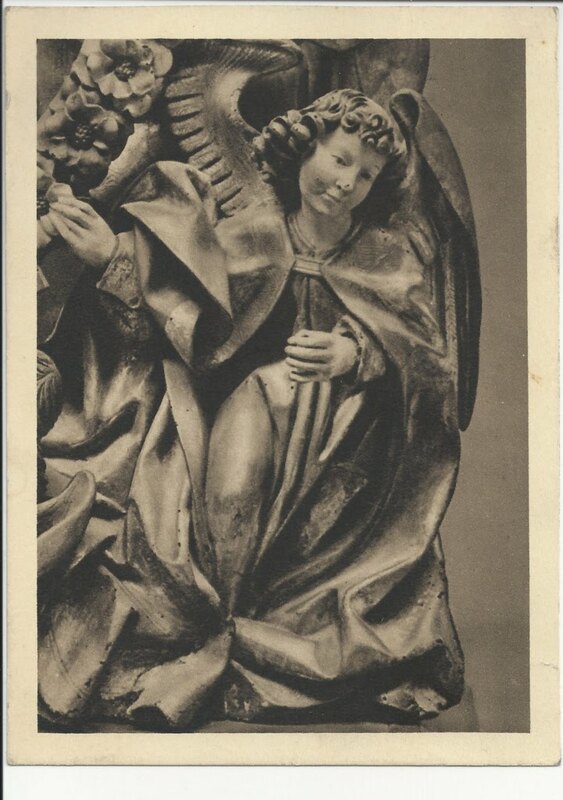 Bildpostkarte mit Engel von der Rosenkranzmadonna des Veit Stoss. korrigiert nach 1718 E-55 Chicago Ill. U.S.A.
Dear Martin, for the coming New Year I wish you all the best, good health, peace and happiness. It is a long time, since we heard last from each other. But take this card please as a sign of my well-being. My wife and the two sons of whom the older one is a real tomboy send their kindest regards. Gruss R.W.D. 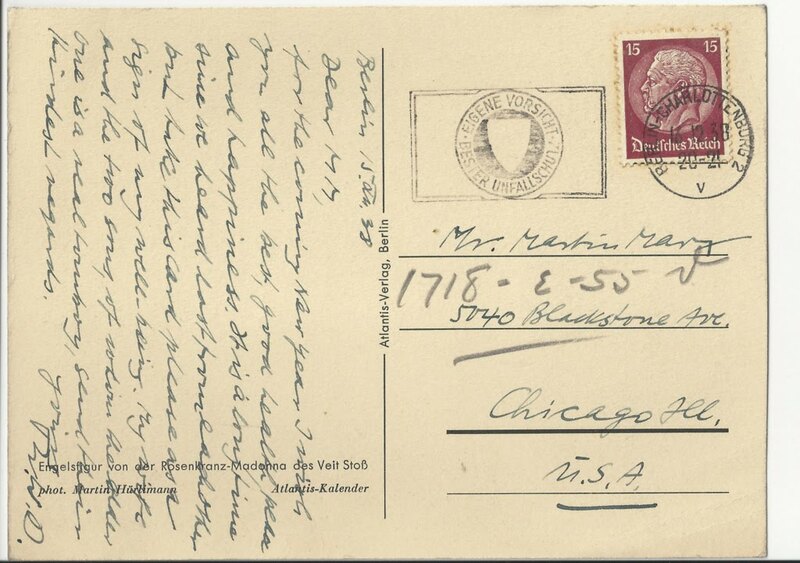 false address corrected to 1718 E-55 Chicago Ill. U.S.A.
Dear Martin, for the coming New Year I wish you all the best, good health, peace and happiness. It is a long time, since we heard last from each other. But take this card please as a sign of my well-being. My wife and the two sons of whom the older one is a real tomboy send their kindest regards. Greetings R.W.D.